Sign up for Broadjam today to follow Oluon, and be notified when they upload new stuff or update their news! 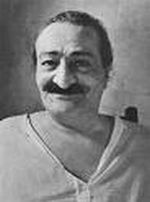 Inspired by Beloved Avatar Meher Baba, these tunes are from my concert given at the Meher Center in South Carolina, USA, in April of this year, 2017. A dear friend's wife has passed on, but I envision a future meeting. Musicas dedicadas ao Avatar Meher Baba. Cada musica vem acompanhada de um comentario sobre o seu tema. I came home on a Sunday night with my wife and family after an afternoon with my in-laws (wonderful people) and walked right over to my nondescript nylon guitar and practically played the whole melody the first time! (Isn't that nice when that happens?) I then took John Lennon's advice (not given to me personally) and wrote the words while the inspiration of that moment was still coursing through my veins, so to speak). I somehow had the idea that these lyrics would be about God speaking to us, instead of the other way around. I quickly gathered some quotes of Baba's and in short order the words were finished (very unusual for me). amazed to have found a love and to hear it's wondrous sound. The Beloved's name was so mystical, I felt I held it in my hands. But, now you are hiding, no longer confiding. Dance in a moment so pure. Oh Beloved One take my hand again, sing your song of love once more. Breathe into this house of dust a sweet word to chase despair. I will hold to you you will hold to me. We'll go running hand in hand. How will that final act be, called to the Sea? You know, the true nature of your Beloved? 1) Have you had a real bad day? Feel a little low today? Chorus (this time, "Just hold on - (to the Daman)"
3) You don't know, but the darkened woods are clearin' like He said they would. I've heard some nice songs written about Meherabad, some of which I've sung at Baba's shrine in India. I'm happy I was blessed with this melody and words which came fairly easily. Is there any place you'd rather go to? Any other place to get your fill? Any other place you'll feel more wanted than on Meherabad Hill? Have you dreamed of drinking sacred water? Where we live as God's own sons and daughters on Meherabad Hill? Kasba Peth is the name of a district in the city of Pune in India where Meher Baba first began attracting disciples to Him. 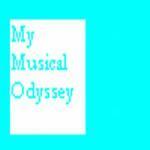 The story is told as if through the eyes of a disciple. I had started developing a new melodic idea around the time I was reading the description written in "Lord Meher" about the early days in Kasba Peth. I couldn't sleep one night and realized that the two could go together. I went through "Lord Meher" and wrote down many possible items including Baba's comment about money, "What is money? What good is it?". I was happy to be able to include the exact quote in the song. "What is money", he asked, "what good is it?" He continued, "You place to much value on it." Someone, a seeker, meets a stranger on a country road, one summer morning. This stranger has such an illumined personality that the seeker is changed forever. No real story. I was actually testing out a synth patch at a slow tempo when the chorus melody came. Then I remembered that the Beatle's tune, "Please Please Me" was originally recorder as a slow, Roy Orbisonesque rhythym. When George Martin heard it, he advised the Beatle's to speed it up and the rest is history. So I sped my tune up and the verse and lyrics followed shortly thereafter. and knew just how things should be. and being young, I thought it all was for free." Where the Heart shines on." truth is my guiding light. Where the Heart shines on ." Where the Heart shines on. A short meditative mantra. If all that happens is God's will - and if we want only the things that God wants to happen, then we will be happy. If we find comfort in the same things that God would find comfort in, then we will always feel restful or better said, we really will rest when we want to rest! I'm trying to paraphrase what the great Spiritual Masters of all time have stated. If one agrees that God sees the bigger picture, then this acceptance will greatly increase our ability to withstand life's curve balls.